Phonak is an international leader in hearing innovation, focusing on hearing speech and restoring easy communication. Founded nearly 70 years ago, Phonak believes wearing hearing aids should be as simple as wearing eyeglasses, and delivers a product that does just that. Phonak reconnects people with their life and their passions. They also support the Hear the World Foundation, which provides hearing technology to people in developing countries. Read on to learn more about Phonak Hearing Aids or contact us today to schedule a consultation with our friendly Audiologist. Phonak launched Venture in 2014, a platform that works to reconnect to the beauty of sound. With increased processing power and a longer battery life, Venture automatically adjusts to every environment. From noisy restaurants, windy parks, or conversations in the car, Venture delivers clear hearing with a focus on speech. What makes Venture special is its Binaural VoiceStream Technology. Sound heard by one hearing aid is instantly streamed to the other, so all sounds are heard simultaneously in both ears. The latest DuoPhone technology applies this same principle to phone conversations. Directional microphones pick up sounds from all around, providing spatial cues. But with UltraZoom, you can focus on a small area to clearly hear what you want to hear and block out distracting sounds. Do you miss the sound of children laughing? SoundRecover means you’ll never miss out again. High-frequency sounds like women and children’s voices are converted to a lowered frequency to bring these sounds into the range of hearing. Phonak has three main models that treat all levels of hearing loss, from mild to profound. The Audeo V is a Receiver-In-Canal (RIC) model, while the Bolero V is a Behind-The-Ear (BTE) design. Virto V is a customizable In-the-Ear or In-the-Canal model, allowing you to adapt your hearing aids and provide the best in natural hearing. For profound hearing loss Phonak created Naida, a powerful device focused on speech enhancement and clarity. For those with single-sided hearing loss, Phonak offers advanced technology in CROS II. Sky Q is hearing aids made especially for children that comes in vibrant colors and are water and dust resistant. Phonak classifies their products from basic to high-end, so you get the level of assistance that’s right for you. The levels are Essential (V30), Standard (V50), Advanced (V70), and Premium (V90), and these cover everything from powerful amplification in a simple design to the most sophisticated hearing assistance. 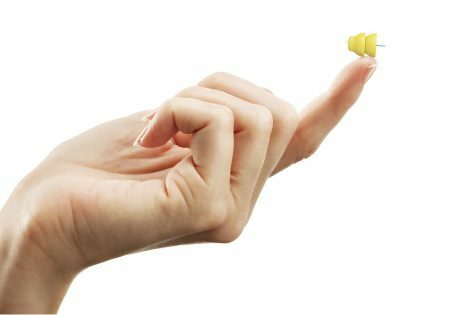 The latest innovation from Phonak is a revolutionary new hearing aid, Lyric. Called the “contact lens for your ear”, Lyric sits far within the ear canal and is 100% invisible. To achieve the most natural sound, Lyric is as close to the ear drum as possible, and micro-engineering uses the ear’s natural shape to amplify sound with minimal processing. Sounds enter the outer ear and travel towards the ear drum in a completely natural way. Lyric amplifies the sounds deep in the ear, giving a much more natural hearing experience than traditional hearing aids. Lyric is placed in the ear by your audiologist, and functions 24/7. There is no daily maintenance, and the battery will last for three months. Moisture protection and breathable materials means Lyric can withstand showering, exercising, and sleeping, with no need to remove the hearing aid. Lyric lets you experience the sounds of everyday life in a whole new way.